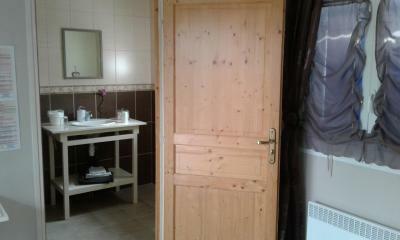 Lock in a great price for Chambre d'hotes Le Hamel – rated 9.5 by recent guests! 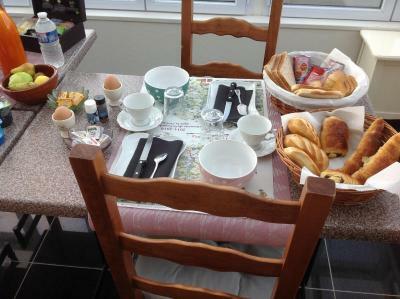 Very friendly host, fantastic breakfast, beautiful setting, spacious and very pleasant room. The property was about 5 to 10 minutes outside town, but my preference is for beautiful natural settings vs. being right in a town or city. 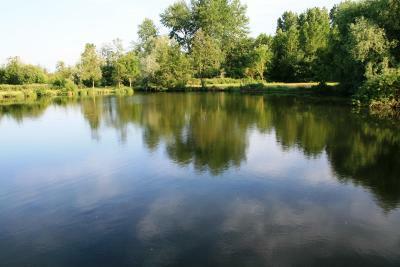 The property is off a rural country road with beautiful farmland that stretches into the horizon. I enjoyed munching on a few farm-fresh peas picked just 50 feet from our room. 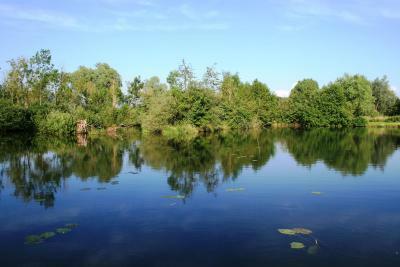 The room looks onto a beautiful marshy lake, 2 minute walk, with beautiful lily pads, birds. A magnificent retreat. Absolutely perfect from the moment I arrived until the time I left. The host made us feel immediately welcome. I was travelling with pets and she was very happy for the dogs to make the most of their gorgeous garden. The setting is idyllic and the room was perfect - spotless, peaceful and beautiful view across the garden down to the river. I would have happily stayed there much longer. 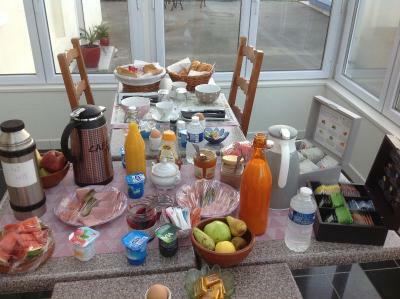 breakfast was marvellous.We were made very welcome,and the dogs were even allowed to play in the garden. 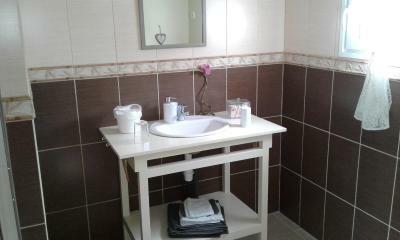 Great care had been taken to make the room bright and cheerful. We sensed this would be a special holiday experience from the outset. 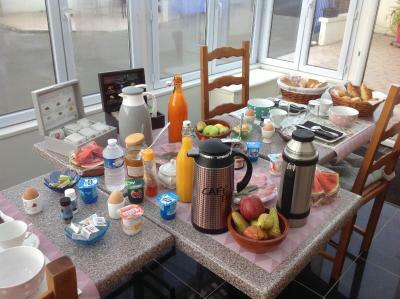 Breakfast was very good as well. We arrived late and was met by the owners father, who spoke no English but was very warm and welcoming. Our room was very clean and well presented. We had to leave before breakfast, But wouldn’t hesitate to stay here again. 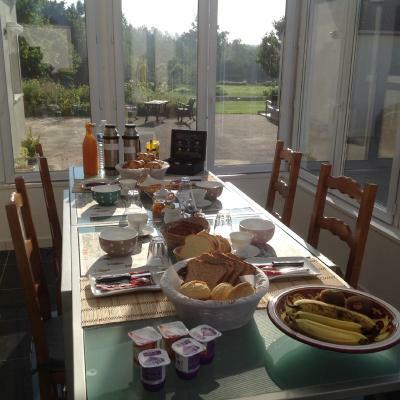 Like eveything, had travelled from Luxembourg, had a great sleep and hearty breakfast. 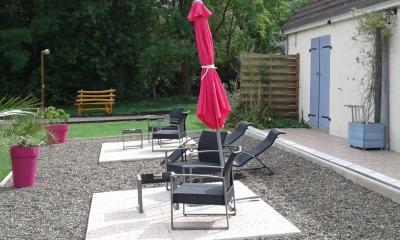 The sence of tranquility as you walked out of the accomodation into the alfresco seating area overlooking the back yard and the river somme. the beauty of the surrounding area and the peace and quiet at night. Although the owner spoke little English she was very helpful and was able to book a restaurant for us in Corbie and arranged for a taxi to pick us up and bring us back. Beautiful grounds and peaceful location. The location was perfect. 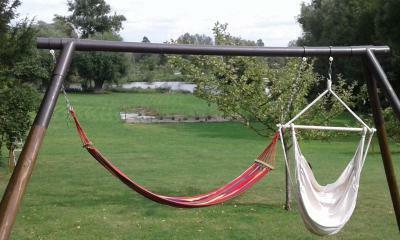 Quiet and peaceful and beautifully maintained. 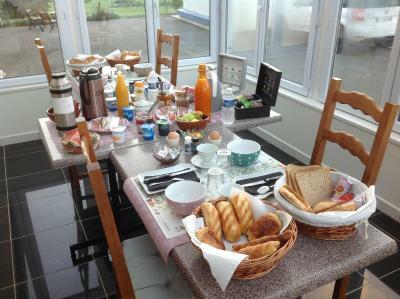 Located in Le Hamel in the Picardie region, Chambre d'hotes Le Hamel has a terrace. Guests can enjoy free WiFi. This bed and breakfast with river views features a bathroom with a shower. 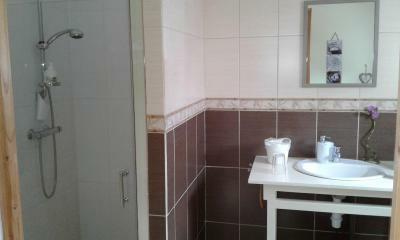 The property is equipped with a kitchenette with a microwave and a fridge. The bed and breakfast has a grill. If you would like to discover the area, hiking is possible nearby. 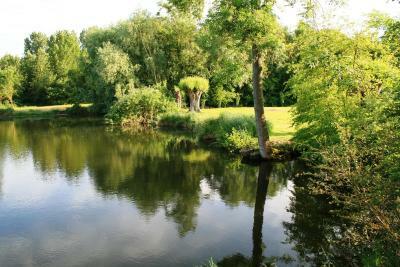 Amiens is 17 miles from Chambre d'hotes Le Hamel. 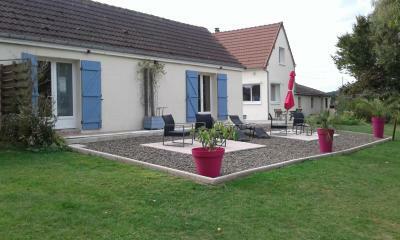 Beauvais Tille Airport is 54 miles from the property. This property also has one of the top-rated locations in Le Hamel! Guests are happier about it compared to other properties in the area. 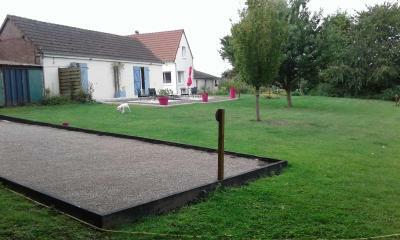 This property is also rated for the best value in Le Hamel! Guests are getting more for their money when compared to other properties in this city. 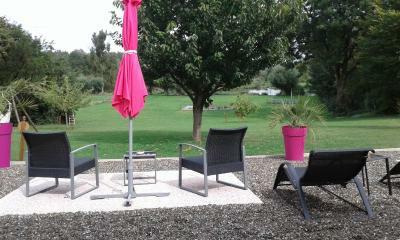 When would you like to stay at Chambre d'hotes Le Hamel? 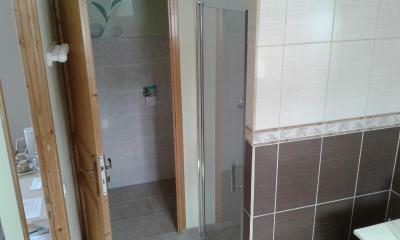 This double room has a barbecue, electric kettle and tea/coffee maker. House Rules Chambre d'hotes Le Hamel takes special requests – add in the next step! No problems - in cold weather, some extra floor mats might be useful. If possible, having reliable WIFI in room would be a good enhancement. 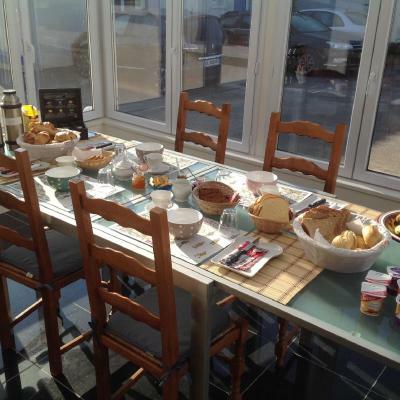 Beautiful location, excellent breakfast, cordial host. There wasn't anything to dislike. Internet connection was very poor in the room. Great room in a fantastic peaceful location. 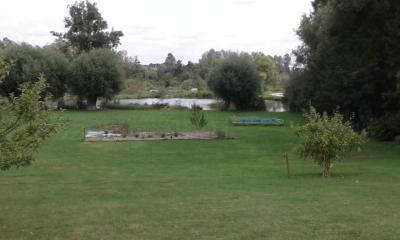 Sitting on the terrace looking over the wonderful garden was very relaxing. Breakfast was also very good. 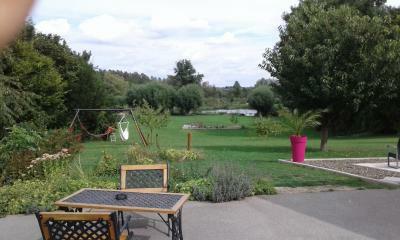 Beautiful garden, relax with a nice view. Clean room. Breakfast very good. This may be more a comment to Booking.com, not the property. When I put the town name “Le Hamel” into my GPS, it came up with about 15 different towns in France named Le Hamel, so I had no idea which was the correct one. Maybe this could be better clarified... Had the property phone number, so was able to work it out from there. WiFi may have been a little weak from room, as we found at other places too, but get a good signal by the entrance, breakfast area.